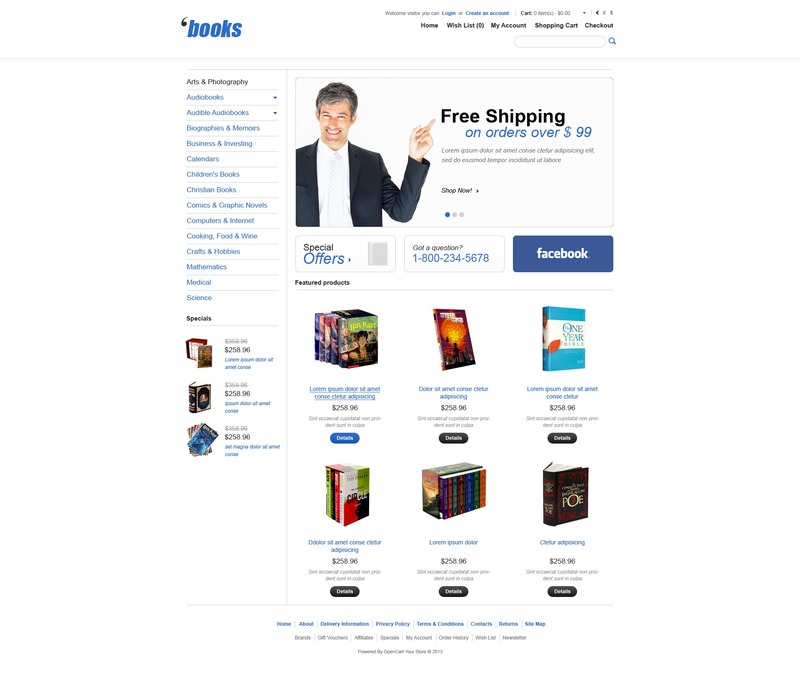 If you are a publisher or book store owner searching the ways to increase your income, start online store right now and forget about your problems. Vertical navigation block will help your customers find the item they wish. Slider and banners will demonstrably promote store offers. Featured products in content area will prompt visitors the best choices.